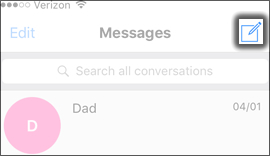 Tap the Message icon (located in the lower-left). 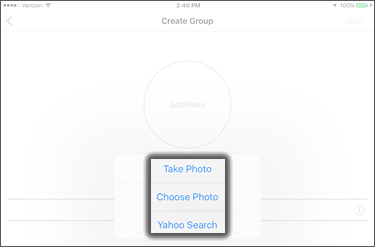 Tap the New Message icon (located in the upper-right). 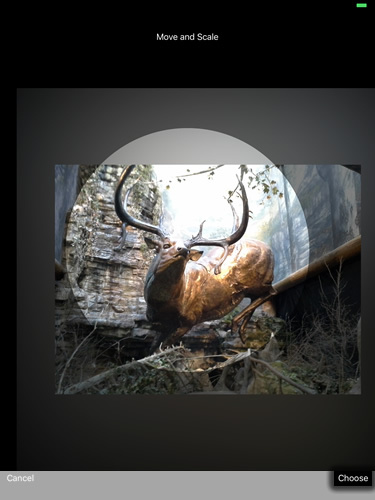 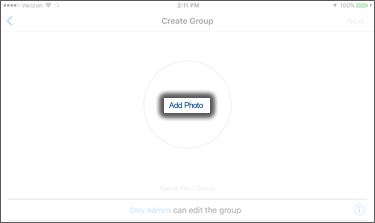 To add a picture ID for the group, tap Add Photo. 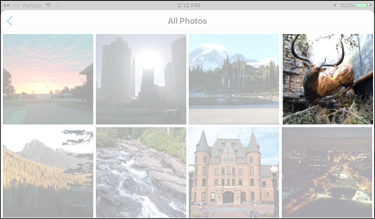 Move or scale the picture if desired then tap Choose (locate in lower-right). 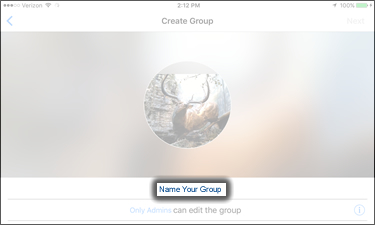 Enter a name for the group then tap Next (located in upper-right). 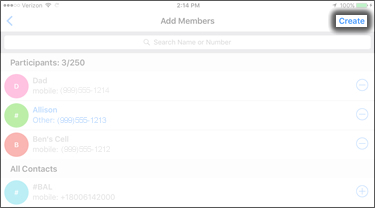 Select the contacts for the group then tap Create (located in upper-right).